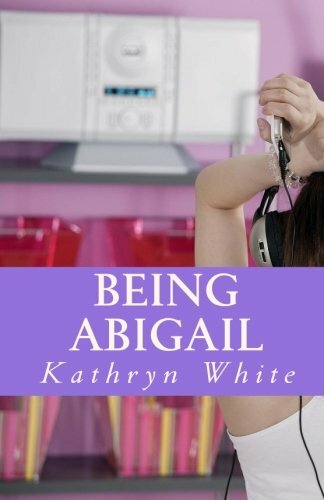 Australian author, Kathryn White is kindly offering her debut novel Being Abigail to one lucky Australian follower! Synopsis: Okay. This is it. I am going to kill myself … After a suicide attempt goes hilariously awry Abigail Carter PhD candidate and owner of a gorgeous little kitten named Cedric finds herself stuck with her very own blog. Before long, Abigail finds herself blogging all about her everyday life – phone calls from the future mother-in-law from hell, visiting a murderous aunt in prision, being stalked by her ex-boyfriend turned cop and the reappearance of Chastity MacKenzie, the girl responsible for expulsion from boarding school many years before. And when Chastity makes a play for Samuel, Abigail’s fiance of five years, Abigail realises that it is going to take a lot more than keeping a blog to sort this mess out… Dark and occasionally laugh out loud funny, Being Abigail features a truly unforgettable heroine and a reminder that sometimes the best things in life happen when you’re on your way somewhere else. TO ENTER GIVEAWAY IS NOW CLOSED! The winner will be drawn via random.org and contacted by email. They have 48 hours to respond before another winner is drawn. Hi! Thanks for the FF follow, I have returned the favor. I also recently bought your book and am excited to read it! Thanks Larissa, I hope you enjoy it!